Wife Sue and I doing double duty promoting Issue # 103--Sinister Wisdom's celebration of the Michigan Womyn's Festival, and also attending THE WOMEN'S MARCH ON WASHINGTON with the Tucson group. There were approximately 15,000 in attendance for the march and rally. Sue Lenaerts and I were disappointed to learn we'd miss the Women's March on Washington on January 21, 2017. We have been to every Republican counter inaugural since Nixon. Imagine our excitement to find out Tucson--where we live part time--as well as 300 other places worldwide are holding Sister Marches. We are aware that nationally there is an outpouring of protests that has never been seen for any one event. The unknown of the future administration has caused an outpouring of emotions that has united untold numbers in protest in support of what the future might hold. Such outrage, fear and determination is bringing us together in solidarity to show that we will not allow our long, hard battles for equality in every area to be rolled back. Please check out the information below and help make the March a success. Phoenix will also be having a March. 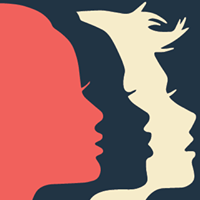 This event is open to all in Tucson who “stand together in solidarity with our partners and children for the protection of our rights, our safety, our health, and our families — recognizing that our vibrant and diverse communities are the strength of our country.” (quote from the National Women’s March on Washington). Both Susan( Susan Wiseheart) and I read, loved, and strongly recommend this amazing memoir from OLOC member Judith Witherow. Contact her publisher, Twin Spirits Publishing, P.O. Box 1353, Clinton, MD 20735, ask your library to order it, or check on Amazon. Big thank you's to Alix Dobkin and Susan Wiseheart for their great mention of my book "Strong Enough To Bend" at the OLOC Conference in CA. Please consider buying a copy as a holiday gift or to read yourself. Carol Anne Douglas and Sue Lenaerts are having a book party for me at our SW editors home this coming Saturday afternoon. I want to thank Julie and Kim in advance for their kindness. Those who truly love books and writing can always be counted on to go that extra mile. Many Blessings. I was reminded of the quote from the late poet Muriel Rukeyser -- ''What would happen if one woman told the truth about her life? The world would split open'' -- when I read Judith K. Witherow's collection of essays, Strong Enough To Bend, Twin Spirits Publishing, 2014. Then when I read The Rules by S. Renee Bess, a novel published by Regal Crest Enterprises, 2014, I was reminded of this quote again. Judith and Renee are both lesbian writers who bring their truth home through their writings. In her collection of essays, Strong Enough To Bend, Judith K. Witherow describes herself as a "back up writer, one of many who stand in the background, providing the harmony and staging the recognition for those whose names are on the covers of the books or the mastheads of the publications." She describes Strong Enough to Bend as her solo performance. And what a performance it is. I found that I could not put Strong Enough To Bend down -- except for time to recollect how much the essays reminded me of friend's lives and my own. Native American lesbian and truth teller, Witherow starts her collection with essays on her background being raised poor in the northern Appalachian mountains. "We never lived in a place that had screen doors or screens in the windows. This allowed everything, including snakes, to come and go at will. We learned at an early age to pound on the floor before getting out of bed." In the second section, Judith talks about how she came out with three sons that she gave birth to during a marriage to an abusive man. Raising her sons in the 1970s a time when lesbians were losing their children to custody battles with ex-husbands, presented Judith with an ongoing dilemma of when to officially come out to her children. It's not surprising that her three sons, who were raised by Judith and her long-term partner, Sue, knew that their mother was a lesbian far before she told them and were fiercely protective of their two mothers. She devotes another section of the book to her multiple health issues which stem, no doubt, from her poverty ridden childhood, and to her struggles with the medical establishment. In 1979, Judith was diagnosed with multiple sclerosis. Judith's health issues are numerous and it is clear that we are lucky to have her with us on this planet. Hers is a voice that we were not meant to hear. "Clinton's first shot at four years of Democratic leadership...Don't Ask Don't Tell sounds like a warmed over version of the Reagan's 'Just Say No.'" When I read The Rules, a novel by S. Renee Bess, I was reminded that truth can be found in fiction. Ranee is a Black lesbian and in these pages we meet an assortment of characters, most of them Black lesbians, at least one of whom lives by the rules -- meaning that she lives her life by a certain code of ethics but sometimes she is confused by what the rules are. The protagonist, a woman by the name of London, defends herself to her long-term lover who is leaving her. "You don't seem sure about your blackness." "What are you talking about. I know I'm black." "Do you? You could have fooled me. Most of your friends aren't black. You don't talk like a black person. You couldn't even keep working for a black-owned construction company." "My friends are all different colors. I speak the way I was taught to speak, and I left Clive Wittingham's firm because I wasn't climbing the ladder there, not because I didn't want to work for a back man's company." Two of the characters are profoundly influenced by their childhoods -- and in fact we meet them as children when they were friends. As adults they are joined by a cast of characters complicated by intrigue and lesbian love. Equally intriguing to me was the prism of race and class. I read this lesbian duo back to back and when the last page was turned, I felt the world split open -- just a little. Strong Enough To Bend New book just published. a new book by Judith K. Witherow--Sinister Wisdom Board Member. In Strong Enough to Bend, author Judith K. Witherow compiles a sampling from four decades of her essays and poems that describe the real life experiences of a disabled, mixed blood Native American Indian lesbian raised in Appalachian poverty. Much of the work has been previously published in anthologies, university women's studies texts and feminist periodicals. This unique memoir is the first collection exclusively authored by Witherow. 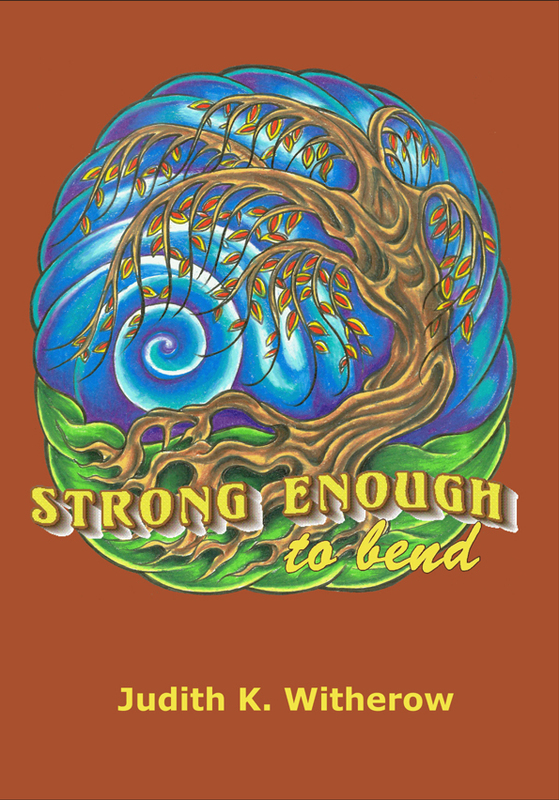 Read more about Strong Enough To Bend New book just published. Suzanne Sunshower has a new chapbook ready for sale. The name is: "It's Where You Find It." To purchase go to: http://www.suzannesunshower.com/Purchase_IWYFI.html The price is $7.00 per copy. Quiet Mountain Essays no longer publishing. Sad to say that QME is no longer publishing online. It has closed down. Sorry to see that another place that published essays, book reviews, poetry and photograph ended this month. QME is still on Facebook and you can get in touch with Suzanne Sunshower on her site. Read more about Quiet Mountain Essays no longer publishing. We had a great brunch on Sunday. I'm sorry that some of you had to miss it. The lucky 13 who were there decided to meet monthly in a place that's quieter than a restaurant. We will meet on the first Sunday of the month at 2 pm. The Methodist Home at 4901 Connecticut Ave NW, just a block from Politics & Prose bookstore, will allow us to use their space. Please tell your lesbian friends age 60 and over about our group.